M&R's Digital® systems offer the ideal hybrid printing solution by combining high-resolution digital printing with the speed and savings of screen printing. 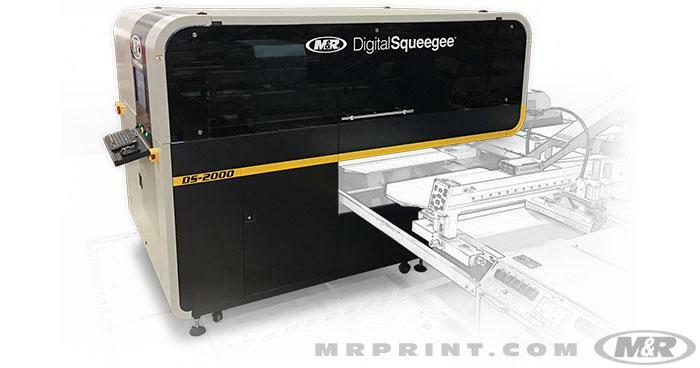 M&R’s DS-4000 Digital Squeegee is setting the standard for hybrid printing. At production rates of 400+ prints per hour the DS-4000 bridges the gap between direct-to-garment (DTG) printing and screen printing. Since the Digital Squeegee prints on top of a screen-printed underbase a wide array of fabrics - including synthetic and performance blends - can now be printed digitally, opening the door to new market trends and cost-effective high-end digital textile imaging. 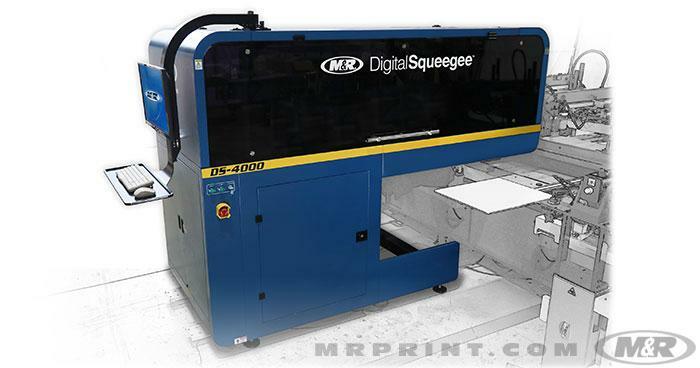 M&R’s DS-2000 Digital Squeegee is setting the standard for Hybrid printing. At production rates of 200 plus prints per hour the DS-2000 bridges the gap between (DTG) Direct-to-garment printing and screen printing. Since the Digital Squeegee prints on top of a screen printed underbase a wide array of fabrics, including synthetic and performance blends can now be printed digitally. Opening the door to new market trends and cost-effective high-end digital textile imaging.